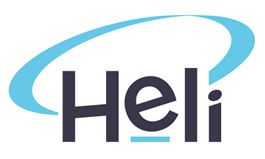 Graduate Certificate in Higher Education Academic Practice (GradCertHEd) at HELI. Applicants for the Graduate Certificate in Higher Education Academic Practice must provide evidence that they hold a bachelor degree (or equivalent or higher) in any discipline. Students may study from anywhere in the world, however applicants with international qualifications that were not delivered in English must demonstrate English equivalency at Academic IELTS: 7.0 overall with a writing score of 6.5 (or equivalent). *The Higher Education Standards Framework (HESF2015) includes the requirement that academic staff have skills in teaching, learning and assessment relevant to the needs of various student cohorts and a qualification at least one level higher than is awarded for the course of study, or equivalent experience. Visit the following link to learn more: TEQSA https://www.teqsa.gov.au/hesf-domain-3 (Ref 3.2 Staffing – Paragraphs 1 and 2).